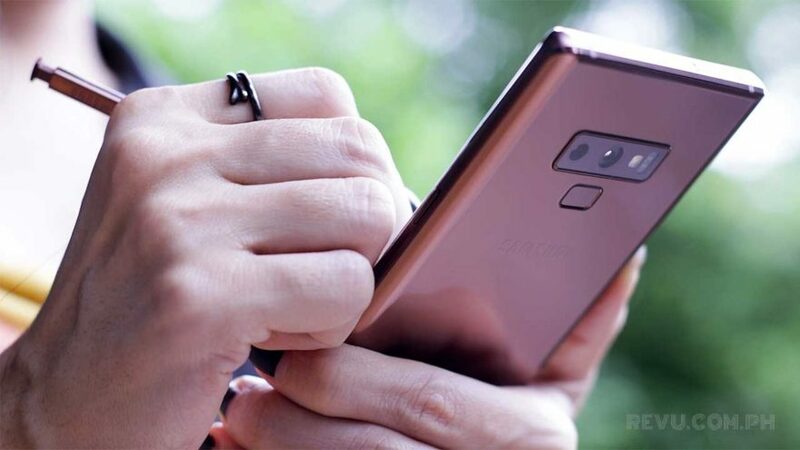 Now that the Samsung Galaxy Note 9 is official, it’s time to take a closer look at some of the main attractions of the latest big-screen flagship. Because although it may not look like it, there are several upgrades on the inside and outside worth noting. Stuff like the revamped S Pen, which now has Bluetooth functionality and can be used to snap pictures from a distance, move to the next slide of a PowerPoint presentation, and launch certain apps. The processor and battery have been upgraded, and the dual cameras on the back now have AI or artificial intelligence for scene and object detection. The RAM of the Samsung Galaxy Note 9 maxes out at 8GB, while the built-in storage can have as much as 512GB of space. Check out the embedded video for more key features of the device. Samsung has announced pricing and availability details for the Philippine market as well. Preorder period is from August 11 to 19, with the release set for August 24. The 6GB RAM and 128GB ROM Samsung Galaxy Note 9 will sell for P55,990 (about $1,053), while the top-of-the-line version with 8GB RAM and 512GB ROM will set you back P75,990 ($1,430) here. The smartphone is available in Ocean Blue with a Pearl Yellow S Pen (128GB and 512GB), Midnight Black (128GB), and Metallic Copper (128GB). Those who preorder the base model will receive a free Samsung Gear Fit, IconX, or Galaxy Tab A7 tablet, in addition to Nanofixit phone protection and one year of insurance of up to P10,000 ($188). The ones who pay premium for 8GB RAM and 512GB memory will get a 32-inch smart HD TV, plus two years of warranty coverage, a year of insurance, and Nanofixit protection. Complete Galaxy Note 9 preorder details can be found here.